The Coffee Bar at the Roasting Factory is now open! Another amazing chapter in the Weird Brothers Coffee story has begun. 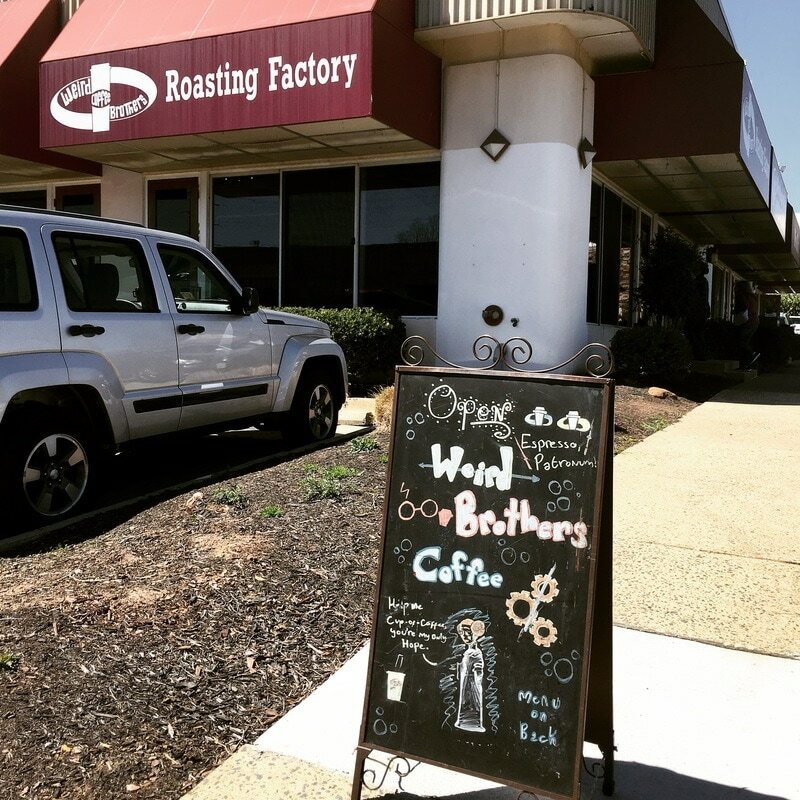 The Coffee Bar at the Roasting Factory in Herndon is now open! We decided to soft open a couple of weeks ago and so far everything is hopping! Along with our fresh roasted coffees, sold by the bag or by the cup, we offer a full espresso bar menu. We are hand crafting and pouring lattes, cappuccinos, mochas, and flat whites for all to enjoy. 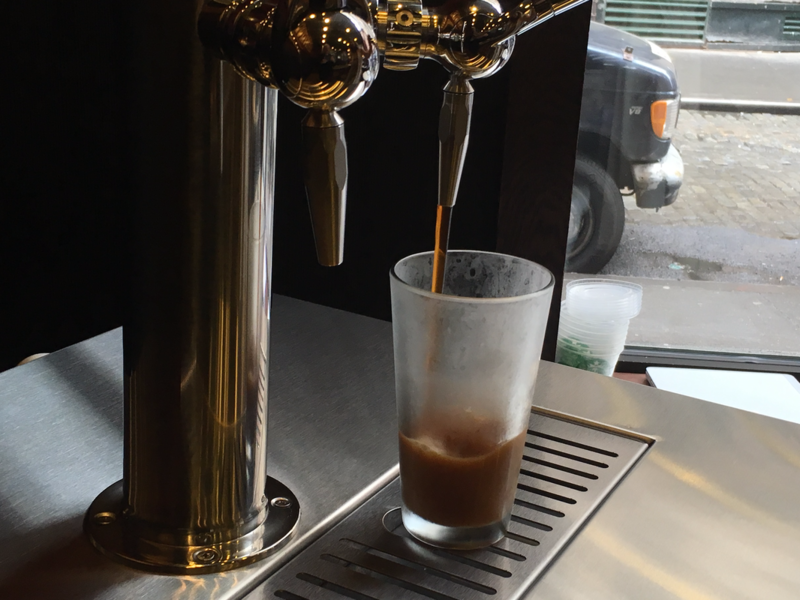 The Nitro Cold Brew is also flowing and is quickly becoming one of our biggest crowd pleasing sellers. Customers are also enjoying the blended drinks and smoothies along with fresh baked goodies from the Boutique Bakeshop. 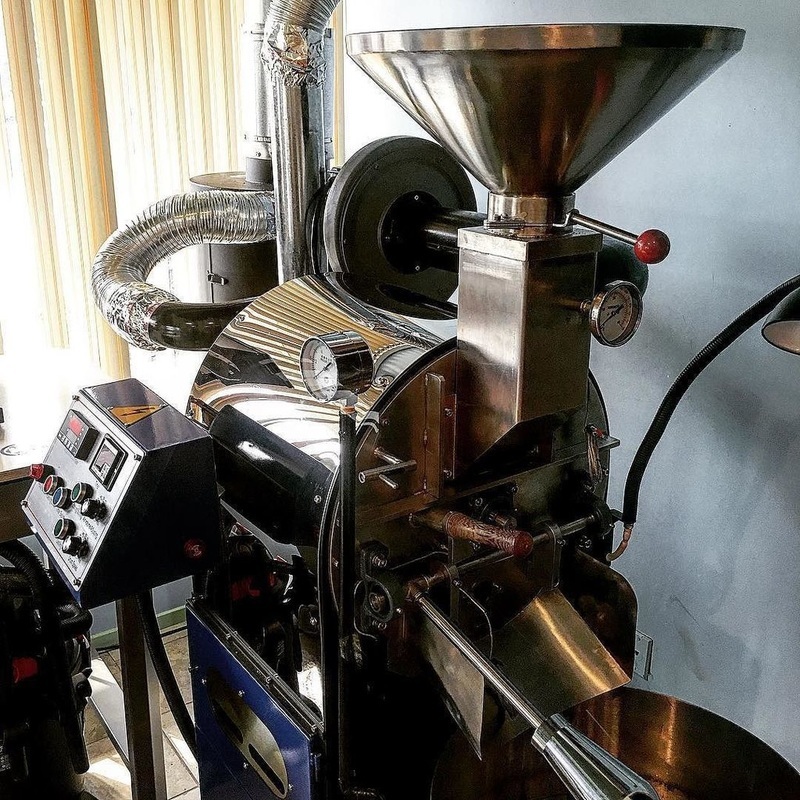 At the Roasting Factory, people can experience the coffee process from green bean, to watching the roaster perform his magic, to brewing and enjoying their coffee in a cool quirky setting or taking it on the go. The Roasting Factory offers several tables and seats and Wifi for those that to want work, meet up with others or just hang out for a time. Weird Brothers Coffee Online and Nitro Powered! This has been an exciting week for Weird Brothers Coffee! We finally rolled out our Online Coffee Store on the website! Now everyone can find our fresh roasted coffee at any time and have it shipped direct! 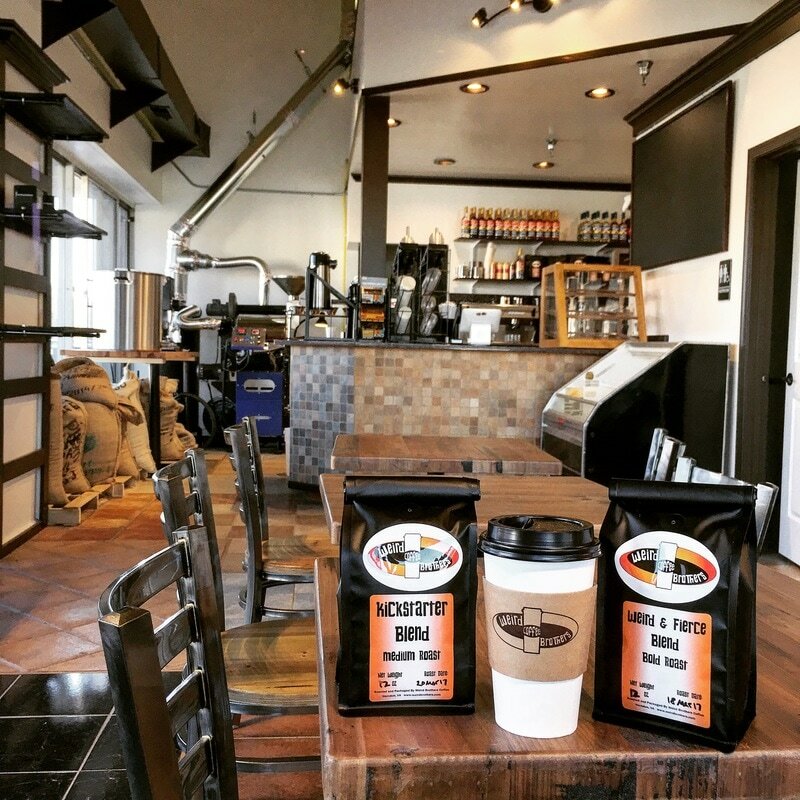 We still sell coffee beans from the mobile coffee bar and you can find them at the Boutique Bakeshop in Herndon. We currently offer two blends, our Kickstarter and the Weird & Fierce but we are working on three more that should be available in a couple weeks. Work is progressing at the roasting factory in Herndon and we are really excited about eventually serving serving up the goodness to everyone there. 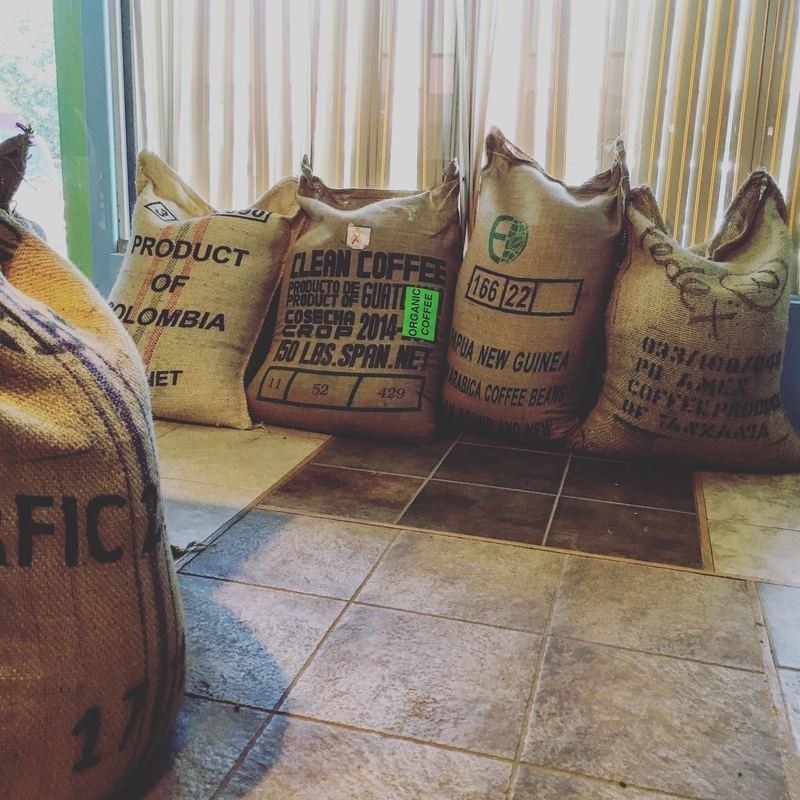 We are working around the roaster to lay out and establish the coffee bar, one step at a time. We love the cool funky floor in the shop, which was once a tile store but we will definitely be throwing up a new paint color scheme as well as adding some of our own funky flair. 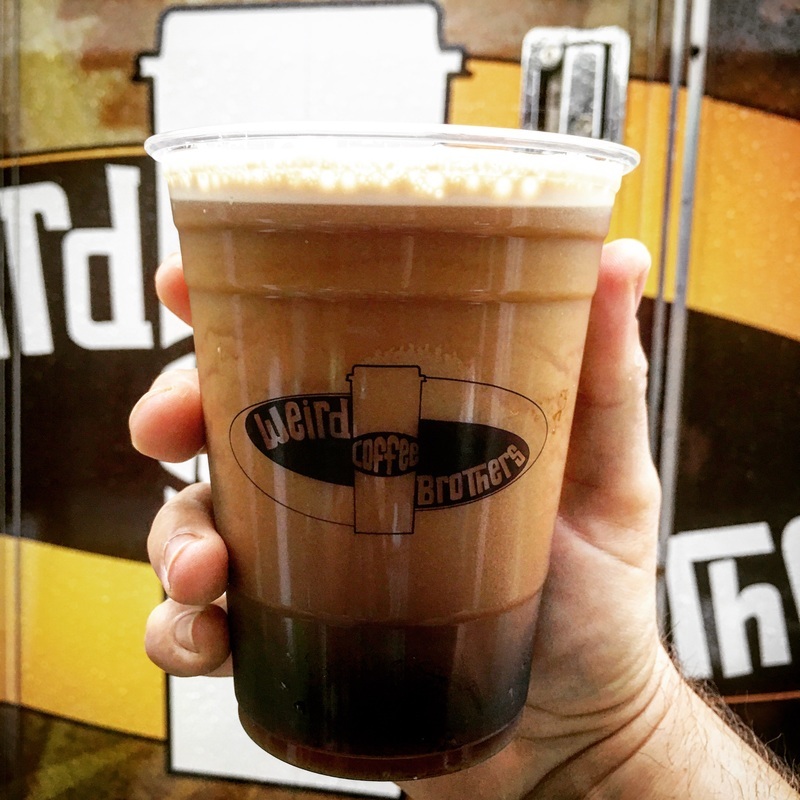 The other exciting milestone in Weird Brothers history is we also unveiled our awesome Nitro Cold Brew served on tap from the mobile coffee bar! The creamy stout like goodness is really turning heads and changing the way folks look at and experience coffee. The Mobile Coffee Bar is steaming along bringing fresh roasted and brewed happiness the awesome people of Northern Virginia. There is so much more to be done and coffee to be served and of course drank! We are so thankful that we are building a little following and look forward to bringing you all along (and picking up more more and more friends) on this amazing journey. Till next time, stay weird my friends! It has been a fun filled and rewarding journey so far in launching our coffee business. The Weird Brothers Mobile Coffee Bar is charging along at full steam. We have been having a great time serving our customers and meeting many new and awesome people. We have also been working diligently on our brick and mortar Roasting Factory in Herndon. Things are coming along nicely. The roaster is installed and fired up! We love our new fire breathing coffee bean roaster. The process of transforming the coffee from a green grassy smelling seed into a full flavored and aromatic roasted bean of caffeine fueled, mind enhancing awesomeness is simply magical. I have already nicknamed our little blue work horse the TARDIS because of it's scientific and fantastical properties. We still have a lot of work to do yet! 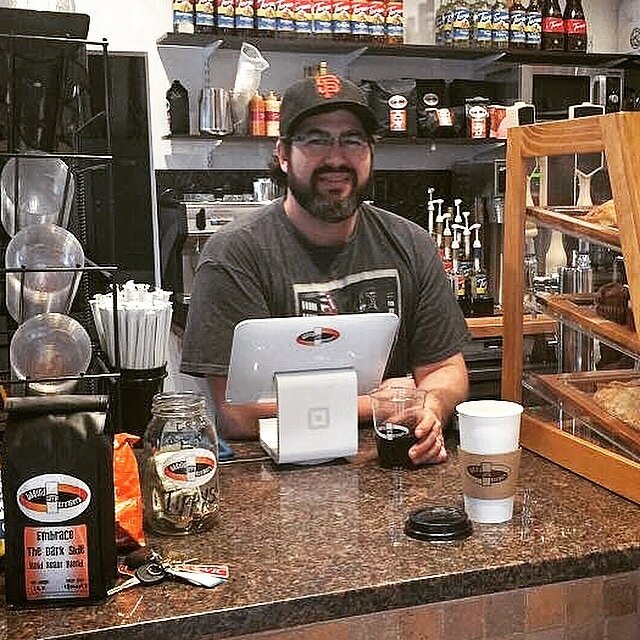 We are in the planning phase for our coffee bar build out, but the good news is that we are almost ready to go live with online web sales of our fresh roasted beans! We have several new offerings and are excited to be working on some new blends! We are also really pumped about our new kegerator that we'll be using to serve Nitro Cold Brew on the Mobile Coffee Bar! Our cold brew coffee is gaining more and more fans every day and our Nitro is blowing peoples minds! We have been serving single servings through a mini Nitro dispenser but soon it will be pouring a easily as any stout. I bet you can feel and taste the fresh creamy coffee goodness already! Stay tuned for more details and announcements from Weird Brothers Coffee. We are really thrilled about sharing our experience and love of coffee with all. Stay thirsty and stay Weird my friends! This has been a fun and productive week for the Weird Brothers! We have been out on the street in Tysons Corner and in Reston meeting and serving all sorts of wonderful folks. We're perfecting our craft and our skills and pouring some delicious drinks. Our latest Weird and Fierce bold roast and espresso blend has been knocking the socks off quite a few customers and our cold brew coffee has been a pretty big hit as well. The nitro cold brew has also been a big crowd pleaser, putting smiles on quite a few faces. We also signed the lease and started moving into our new coffee factory and home base in Herndon! Kenny, Jacob and I are excited to be setting up and making it our own! We'll be publishing more info about the coffee factory and our progress over the next few weeks. We hope to be open to the public by the summer time. We look forward to sharing the coffee process with everyone... from bean to cup. Never fear though, the Weird Brothers Mobile Coffee Bar will still be hitting the road every weekday morning and we are working on applications for several different festivals and events. Our online coffee bean store should be opening soon too! You will also be able to find our beans at some local retail shops as well. We'll fill everyone in on the details as soon as they are solid. Till next time, stay strong, stay happy, and keep it weird! It's been a weird trip so far! The Weird Brothers are finally making some progress with turning our weird and wonderful dream into a reality. We are perfecting our craft and getting out to share our awesome coffee with as many people as we can. The weird mobile coffee bar has been out to Reston at Business Center Drive and Tysons Corner for a few days over the past few weeks. We are so happy to see that there are so many people out there that crave craft roasted, small batch coffees that are ground and brewed fresh every day! We are also in the process of finishing our brick and mortar roasting factory in Herndon. We will keep everyone updated on our progress and hopefully let you all know when we will be open and ready to sell our awesome beans online. It has been a weird and crazy trip so far and we are enjoying every minute of it. Look for our updates on Twitter, Instagram, and Facebook for the mobile coffee bar locations and the progress of our roasting factory.